detaches so pan is immersible for washing. it the easy way .. order by phone. or half-a-dozen hamburgers on the reverse side. not have the reversible grill feature. hopper. Built-in ice drawer holds big supply. won't stain or rust even after years of use. log Sales" for number to call. 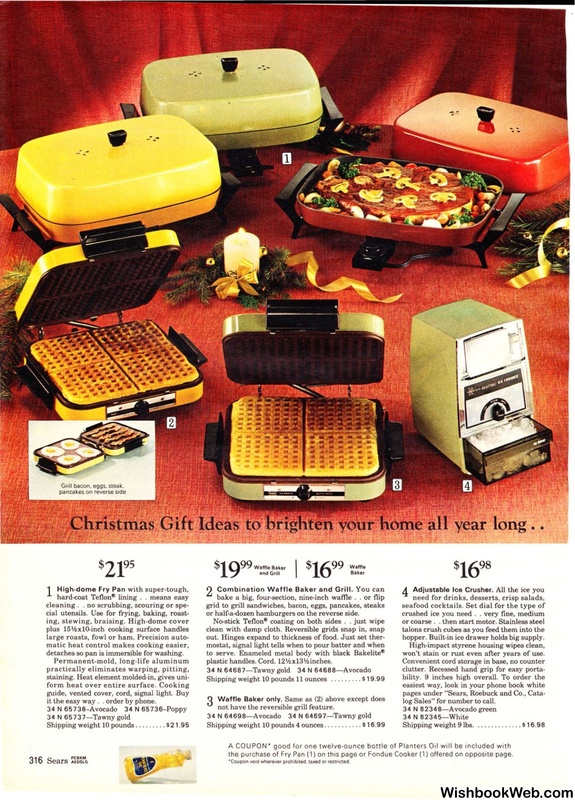 the purchase of Fry Pan (1) on th is page or Fondue Cooker (1) offered on opposite page.